A dental crown is a tooth restoration cap that surrounds a tooth or a tooth implant. It is used to restore the size, appearance, strength, and shape of the tooth and is also used when a cavity threatens the health of a tooth. A dental crown also restores a broken or severely worn down tooth. Some people also use dental crowns for cosmetic purposes. Though they may be beneficial to dental health, it can be expensive to install dental crowns. The Avenue Dental Group has the dentists that specialize in diagnosing and performing dental crown procedures in North Spokane and Spokane Valley. The crowns that our staff at The Avenue Dental Group use are a metal free. Our dental crowns are usually made from porcelain infused in resin or ceramic. Crowns can withstand biting and chewing force which makes them very durable and long lasting in regards to wear. It is advised to use dental crowns on teeth that are not easily noticeable by other people such as the molar. The color of porcelain crowns can be matched with the color of the teeth which makes them look more natural than other dental crowns. The main drawback of porcelain crowns is that the porcelain portion of the dental crown can be easily chipped off. 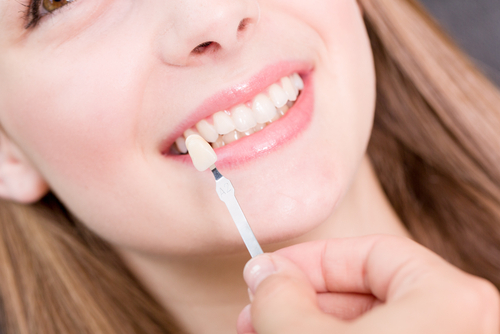 Porcelain dental crowns may be used on the front teeth or back teeth. Resin dental crowns are cheaper than other types of dental crowns but are more susceptible to fractures or breaking due to biting or chewing force. Ceramic dental crowns are a good choice for people with metal allergies. Ceramic crowns also provide a natural looking color, making them look more natural than other dental crowns. These types of dental crowns are best suited for your front teeth. Newly installed dental crowns are very sensitive especially when the tooth equipped with the crown has a nerve in it. Toothpaste designed for sensitive teeth may help ease the sensitivity of the crown. Sometimes, pain or sensitivity may be caused by placing the crown too high on the tooth which can be easily adjusted by the dentist. In some cases, the cement from under the crown is washed out that allows bacteria to leak in and may cause tooth decay. If the crown feels loose, it is important to call the dentist to prevent further damage. Dental crowns do not need special care. Regularly brushing at least twice a day and dental flossing once a day is recommended for taking care of your teeth. Dental crowns, depending on the quality and the material used, may range from 600$ to 1500$ or more per crown.